At the heart of this leadership story is the central idea that one's ability to impact others is directly related to his or her ability to lead from a place of authenticity. Sara Davis, the Chief of Staff for powerful Congresswoman Clara Becker, has come to a crossroads in her life. When Clara Becker suddenly is gone, Sara must decide what to do next. When she discovers Clara’s video diary, Sara begins to realize she has the power within her to change the world. Sara’s journey, and the wisdom she uncovers along the way, is an inspiring story for everyone. Inside each of us is the ability to be a changemaker. We simply have to dare to step into the arena. a fable about leadership choices, and the value of mentors whose guidance directs the wayward to good places. It is also a story about unconditional love, and the power to change life’s direction for a greater purpose. When journalism prodigy Carson Stewart’s life comes crashing down in an ethics scandal, he sets out to rebuild his reputation in a desperate act that tests his journalistic integrity. Accepting a freelance job, Carson wields his cynical pen to break a story featuring Clara Becker, a popular U.S. representative. His course is interrupted, however, when he meets an attractive and cunning congressional aid who is not afraid to shed light on the condition of Carson’s integrity and purpose. Entangled in deception, Carson finds counsel from his only friend and mentor, Joe – a well-read, yet mysterious bartender. Joe’s Place provides the solid foundation where an unsteady Carson finds footing. With his situation spiraling to rock bottom, it is this unlikely mentor and the scorned congresswoman who provide Carson a way out, if he will accept it. Carson is presented with the “Three Laws of Life,” which ultimately force his pen to consider rewriting more than his article. The Newsmaker is a fable about leadership choices, and the value of mentors whose guidance directs the wayward to good places. It is also a story about unconditional love, and the power to change life’s direction for a greater purpose. The death of Taylor Bellows, one of the wealthiest men in the world, devastates Brendan Austin, his best friend since childhood. But even more than Taylor’s death, it’s the set of journals he left behind that shakes the foundation of Brendan’s life. Brendan and Taylor grew up together, from their days spent having adventures in the woods and pretending to be businessmen in Taylor’s father’s office to their eventual careers and marriages to the lovely Allison and Ann—and to Taylor’s struggles with infidelity. But through it all, Brendan and his wife Ann stood by Taylor and Allison, mentoring and guiding them toward the truth—even as Brendan often felt that Taylor resisted taking his words into his heart. And now, in reading Taylor’s journals, Brendan uncovers things he had never known…about his friend, his life, and his faith. He discovers what it means to be a difference maker. A conversation starter, an approachable guide—in fable form—for mentors both deliberate and unintentional, The Difference Maker looks at the godly principles of true success, mentorship, leadership, courage, and transformation. The truths are powerful and applicable, in life and in faith, for everyone who reads them. Learn how to lead others while you follow The One. At the heart of this leadership story is the central idea that success―where purpose, talents and resources come together to meet the needs of others―cannot be achieved in isolation. In The Kingmaker, Kyle Ellis, the CEO of powerhouse PR firm Ellis International, is known in an elite circle of people as The Kingmaker. Unlike others in his field, Kyle has the ability to unlock the true potential within his clients while guiding them to the world’s highest levels of power. After years of masterfully engineering careers to the height of success, Kyle suddenly finds that an alarming number of his “Kings,” as they are known within his close network, are falling from power. Over the course of only a few short weeks, two of Kyle’s most high-profile clients have collapsed into trouble. Kyle is forced to step in to play damage control not only to save their careers but, in one case, their very life. 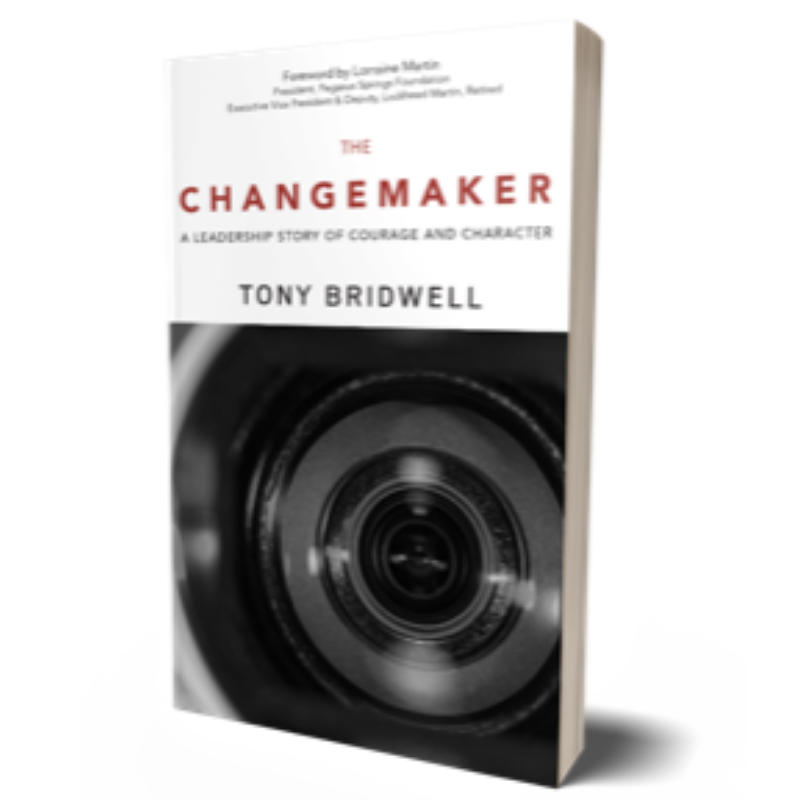 Get all four books in “The Maker Series” in this bundle exclusively available on TonyBridwell.com. THE DIFFERENCE MAKER looks at the Godly principles of true success, mentorship, leadership, courage, and transformation. The truths are powerful and applicable, in life and in faith, for everyone who reads them. Learn how to lead others while you follow The One. THE KINGMAKER is a leadership story centered around the idea that success - where purpose, talents and resources come together to meet the needs of others - can not be achieved in isolation.